Reserve it for the day, weekend or whatever.Whenever you need a large group gathering Hold it at the Acres!!! Discounts for multi day rates. A $75.00 cleanup and damage deposit is required. Must have proof of insurance or you must sign a waiver. 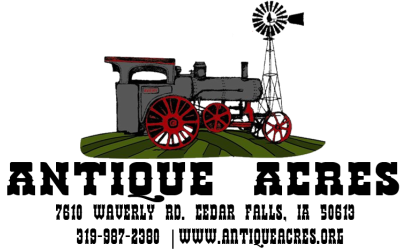 All payment should be made to: Antique Acres Inc.
Visit our calendar page to see if your date may be available.